Well, well, well. 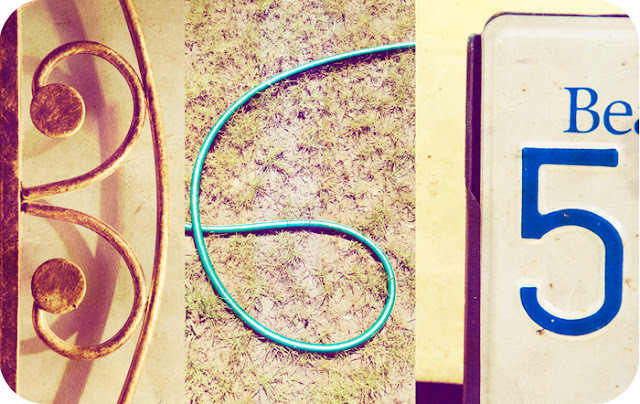 Happy 100th Blog Post day to me. I can not believe that I have had this blog since 2007, and I have only posted 100 times. I started this blog under heavy protest on June 9, three years ago (My thought: blogs were too much a part of pop culture. So passé. Dave’s thought: I needed a creative outlet to vent. I agreed to try it for just a little while.) And here I am. One hundred posts later. I’ve found in the last few months that I am struggling to find motivation to blog. I have many things in my brain that I would love to write about, but I am very good at getting on the computer and not blogging. ;) (A big reason is because I work from home mainly, so any time I get on the computer I feel like I want to work) So I have decided to give in to another passé internet fad. 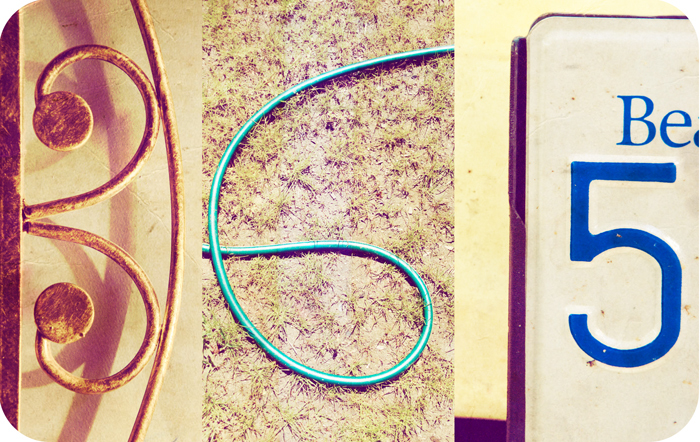 The 365 day photo/blog challenge. I believe the excitement for this fad has indeed died down enough for me to attempt it. I’m hoping this will be enough to get me blogging again. Don’t mind the mess of a page! I’m currently re-doing the site, but have been detained halfway through! Sorry it looks so awful! This afternoon, my husband and I went to Fort Langley to hang out (a pretty typical free afternoon for us is spent there). We often spend a lot of time at the Antique mall there, whereupon I dream about all the vintage things I want to buy there. 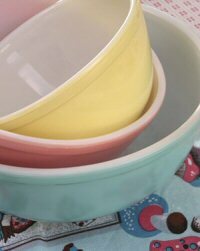 (Among the many things I want, are a set of pastel pyrex nesting bowls, similar to the ones pictured, although I think there is a green one in the set as well). There was another set of pyrex nesting bowls that was in shades of chartreuse with white daisies on it. If I was not saving my pennies for a new camera….those would be in my cupboard right now. This time in Fort Langley I went into a little lingerie shop called “Nectar Lingerie“. I had always passed it, but never really paid much attention. But when we were passing it on our way back to the car I went in just on a whim. Right away I was greeted with exceptional service! The sales girl was very friendly, and she told me all about this line that they carry called “What Katie Did”. They are a vintage lingerie company based out of London, and considered one of the top corsetieres in the world. Nectar Lingerie is one of two places in Canada that is allowed to carry the line. And what a line it is. I’d love to invest in one of the corsets (to the right is one that I love) to wear with some of my vintage dresses. What’s more, they carry vintage style bathing suits. *gasp* !!!! So exciting. I have too may projects! I have officially forgotten to blog. Soon I will post something good. I promise.